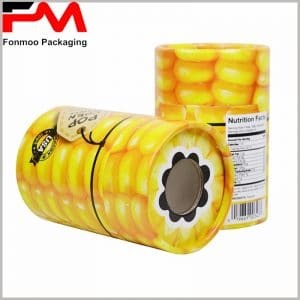 If you are looking for high quality round cardboard boxes with lids, and it should be available in a variety of different styles and sizes to meet the demands of your product packaging, we are able to offer you the best custom cardboard tube packaging in 5 ml, 10 ml, 20 ml, 30 ml, 50 ml, and more depending on the actual situation of your product. Especially in the skin care product packaging manufacturing, we have a wealth of experience in dealing with bronzing, hot silver printing, plastic and other printing process can be done to make you the most satisfactory results. This is a 100 ml Skin care packaging boxes with 250g cardboard roll into a cylindrical shape, meanwhile with 80g of dark blue printed copper paper as a tissue paper, with dark blue to express the characteristics of natural skin care essential oils. Hot silver printing is only applied for the product name and reflect the main features, as well as capacity, without any extra text. The entire surface of the packaging has a little U silver powder, giving the comfortable feeling of high-end skin care products. In the custom packaging processing, the edge of the paper binding is very good, there is no signs of wrinkles. The tightness of the lid is very important to the integrity. After the cardboard box is putted on, the trace between the lid and the main body cannot be seen completely. It is a very successful design. If you want to customize high-quality tube boxes for your product packaging, feel free to contact us for a quote for the lowest possible price. We can be 30% cheaper than the wholesale market price, and the more you order, the greater the benefits you get. It is noteworthy that, after confirming the order, we can deliver the customized product package within 7 days as soon as possible, which is very fast.